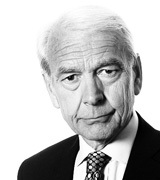 John Humphrys: Should Britain Waive Opposition to the Death Penalty? July 24, 2018, 10:25 a.m.
Sajid Javid, the Home Secretary, has caused controversy this week by indicating that the British government is prepared to waive its long-standing opposition to the use of capital punishment by foreign governments, in the case of two alleged jihadi terrorists originally from Britain. He has agreed to provide the authorities in the United States with intelligence evidence to assist in the trials of the two men without asking for the usual assurances that any convictions would not lead to the death penalty being imposed. Human rights champions have widely condemned this decision as compromising Britain’s principled opposition to capital punishment and as setting a dangerous precedent. Others, however, claim the two men involved deserve whatever they get. So was the Home Secretary’s decision right or wrong? The case involves Alexanda Kotey and Shafee El-Sheikh, two British-born jihadists who are said to have been part of a four-man cell of Isis militants operating in Iraq and Syria and who were known as ‘the Beatles’ because of their English accents. They are believed to have been involved in the torture and brutal beheading of around twenty western hostages, including three Americans and two British aid workers, David Haines and Alan Henning. The beheadings were videoed and posted online. The leader of the cell, Mohammed Emwazi, known as ‘Jihadi John’, was killed in a drone attack in 2015 and another member is now in a Turkish prison. In January this year the remaining pair were captured by Syrian Kurdish fighters who are believed to be willing to extradite them to a western country to face trial. The British government appears to prefer that such a trial should take place in the United States rather than in Britain and is seeking to help the American authorities in the prosecution. Mr Javid has not elaborated on what those ‘strong reasons’ might be. But it is suspected that chief among them is the wish not to put obstacles in the way of America taking on the job of prosecuting the pair and so running the risk of Britain having to put them on trial itself. What seems to be worrying the British authorities is that in trying to put the pair on trial here they would expect to face prolonged legal challenges from human rights groups. Furthermore, there is doubt as to whether sufficient evidence is available to secure a conviction in a British court. Should the pair return to Britain and either not face trial or be acquitted, the reasoning seems to be, they would end up at liberty. The security minister, Ben Wallace, seemed to imply that this was the logic of the government’s position, when he told MPs on Monday of the fear that ‘foreign fighters detained in Syria could be released from detention without facing justice’. For this reason, he added, ‘we have been working closely with international partners to make sure they face justice for any crimes committed.’ Around four hundred British-born jihadis have already returned to Britain from Syria and Iraq, with only fifty-four having been convicted of any crime. Most of the rest are now at liberty in Britain. Mr Wallace confirmed on Monday that Britain had already stripped the two ‘Beatles’ of their British citizenship. Whatever the ‘strong reasons’ were for waiving the request for assurances about the death penalty, it certainly marks a radical change of policy on the part of the British government. For many years Britain has insisted on such an assurance in cases which involved requests for extradition from Britain of suspects due to stand trial in other countries or where Britain has been asked to supply evidence that might help the prosecution in such trials. Opposition to the change in policy was swift. The shadow home secretary, Diane Abbott, called the decision ‘both abhorrent and shameful’. And Ben Emmerson QC, a human rights lawyer and former UN special rapporteur on human rights and counter-terrorism, described it as ‘unprincipled, incompetent and almost certainly unlawful’. What worries many observers is that the decision also sets a precedent, making it harder for any future Home Secretary to insist on the assurance about capital punishment. The former Labour home secretary, Lord Blunkett, said it was a very, very bad idea for any home secretary to override the principle of demanding the assurance on capital punishment in any one case. And the senior Conservative MP and former attorney-general, Dominic Grieve, called the decision a ‘major departure’ and one that would ‘haunt’ the government. Whether, if they face trial in the United States, the pair will end up facing the rest of their lives in prison or facing execution is, of course, the point at issue. The mother of James Foley, an American journalist brutally tortured and beheaded by the cell of which the pair are alleged to have been members, says she does not want them to be executed because it would provide them with the supposed martyrdom they may well crave. Others, however, including many in Britain, are so outraged by what they are alleged to have done, that they believe no fate is too bad for them and would welcome their facing execution. So was Sajid Javid’s decision to waive the long-held principle of insisting on assurances that no assistance provided by Britain in any foreign prosecutions could lead to the imposition of a death penalty right or wrong?